I have made another card from the new collection Christmas in Norway. I have used the beautiful sheet Church for both the inside and outside, togheter with matching Pion Design Palette papers. Such a beautiful card, Marianne! 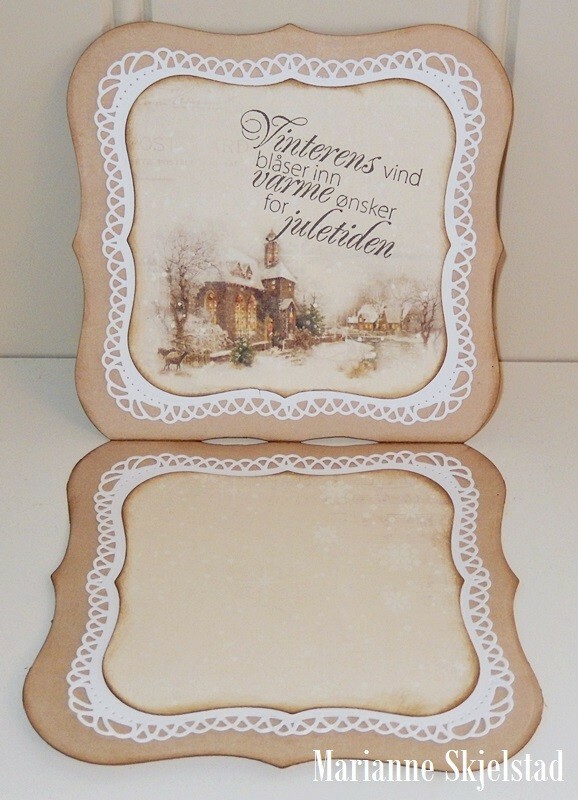 I love everything about it, the papers Christmas in Norway, the die cuts, the gentle colors used.